Along the outliers of unexplored cerebral boundaries resides the sonic offerings of Grey Music member and Harmonious Discord label front man Sean Anderson aka PointBender. A project focused on thought bending synthetic manipulations and heady melody construction, the PointBender moniker provided Sean an avenue to explore a highly creative fusion of song creation and live performance. After many successful live performances the pieces began to gain a momentum of their own and were later released as projects on labels like Thoughtless, Musical Missionary, and Harmonious Discord. Before the PointBender project began Sean was half of a production duo with a notable ten year catalog of releases. Grey (later re-named Grey Music Project) first appeared on record shelves in 2001 with their debut release on Chicago based music staple Guidance. The quick submersion of the two into the EDM spotlight paved the path for a discography of back-pocket selections on labels like Fair Park, Blunted Funk, Nightshade, and many on their own imprint. A move to Austin Texas meant the two would produce less music together and more via their solo avenues. Shortly after the PointBender project premiered it showcased a noticeable abstraction from the earlier Grey material. The solo endeavor was messier at times, stranger a majority of the time, and indisputably compelling all the time. This crayon squiggle all over the audible construction paper was embodied by the first full length featured on Harmonious Discord called “Sifting through Circuits”. Despite his concentrated efforts to become rich and famous and completely sell out Sean will most likely continue to deliver norm shattering niche releases on some of the industries silent monsters. 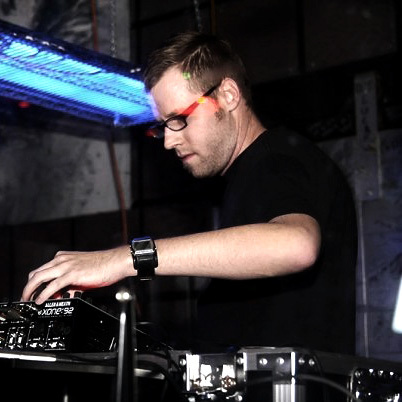 As a DJ, Sean has been a presence in the Texas Electronic Music scene for over 14 years. He has played a vast list of venues from festivals to dive bars all over the US and select cities in Europe and Canada. For a 12 year catalog of mixes simply visit his archive at http://www.hdrecordings.com/mix-archive. Sean has also partnered with many companies in the digital music creation sector with handcrafted loops featured on Samplebase’s 4th Floor Sample CD and was part of the development and design of the Open Labs DBeat. Currently Sean is sponsored by Livid Instruments and is a licensed Ableton and Apple Logic Instructor.